As the addiction treatment landscape becomes more and more intuitive, clinicians and researchers are developing more treatment models that help patients heal in accordance with their specific care needs and lifestyle. At the same time, the world is spending more and more time online to do everything from shopping for goods and services to staying in touch with family and friends and even receiving mental health treatment. Online alcohol and drug rehab programs represent the next stage in the clinical evolution of addiction care by putting patients in touch with quality, affordable, expert care no matter how far away they may be. What Is Online Alcohol and Drug Rehab? Online alcohol and drug rehab is a virtual paradigm for addiction treatment that includes a suite of behavioral health services including group therapy, individual counseling, recovery meetings and support groups, and more. These programs can occur either alongside or independently of other more traditional types of treatment programs, including inpatient, outpatient, partial day programs, and others. Online alcohol and drug rehab breaks the traditional model of treatment and allows patients to self-manage their recovery. The process has been gaining more and more ground in the treatment community as patients are clamoring for a more intuitive type of treatment. Online addiction counseling is a cornerstone of the virtual rehab process. It connects patients with therapists via video and text chat to explore the root causes and sustaining factors of their addictions. Online addiction counseling explores critical issues like family life, stressors, and underlying mental illness to help patients fully heal. CBT4CBT – Computer-based Training for Cognitive Behavioral Therapy (CBT4CBT) is a web-based program that puts CBT experts in touch with patients no matter where they are in the country. The program is self-guided, using movies and examples, and is currently offered only as part of an overall treatment program that offers more traditional treatment like in-person counseling and group therapy. SMART Recovery – Self-Management and Recovery Training (SMART) Recovery has been around for decades and encourages participants to empower themselves during the recovery process and treatment processes. In recent years, this has included providing online tools to help participants keep their materials with them 24/7, including the SMART handbook and toolbox, which is available for download on any computer or mobile device. Life Process – The Life Process Program was developed by Dr. Stanton Peele and is one of the few entirely online alcohol and drug rehab resources. 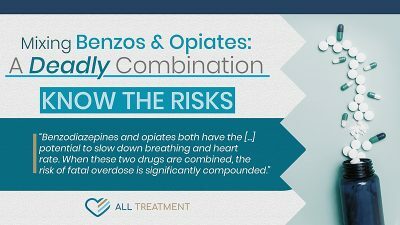 It can be offered in treatment facilities as part of an overall treatment program or followed independently on your timeline. The program is built on the belief that the antidote to addiction is a happy, fulfilling, and purposeful life. Participants work with a coach to help guide them through the program, with whom they communicate through Skype and other online platforms. Course materials are available for download on any device. It’s also possible for patients to embrace online alcohol and drug rehab in their own way simply by educating themselves about the increasingly abundant online recovery tools out there. The formula is less restrictive than traditional treatment. Flexibility – These programs allow patients to engage in recovery at their own pace and feel less pressure to be successful. It also allows them to fully engage with their behavioral treatment without having to worry about following a rigid set of parameters and scheduling that can interfere with their careers, families, and other lifestyle obligations. Empowerment – Very often anxiety over shame, stigma, and judgment prevents those who are truly interested in getting help for their substance use disorder (SUD) from actually asking for it. Online alcohol and drug rehab reduces face-to-face interaction and removes some of the logistical barriers and judgment that can prevent some from seeking the help they want and need Patients are able to comfortably explore recovery without having to worry about interpersonal situations that can reinforce shame or anxiety. Affordability (Free Online Rehab) – Perhaps the most immediate benefit of online alcohol and drug rehab is the fact that many programs are a fraction of the cost of traditional treatment models. One of the most common barriers to addiction treatment is cost. If patients had a therapeutic mechanism that they could actually afford, it could improve treatment outcomes. Some programs even offer free online rehab. However, it’s important to realize that any type of rehab program should be accompanied by medical detox and withdrawal management. Does Online Alcohol and Drug Rehab Work? Online alcohol and drug rehab have proven to be an incredibly effective behavioral health resource. In one recent Yale University study published in the American Journal of Psychiatry, online programs actually outperformed traditional treatment protocol by a significant margin. from 2014 found that online alcohol and drug rehab program had lower dropout rates than their traditional counterparts. The process has also been heavily endorsed by notable mental health authorities, including but not limited to Psychology Today. As more and more research is being conducted regarding the efficacy of online alcohol and drug rehab programs, the model is emerging as an increasingly viable form of therapy. Online rehab, by itself, is not for everyone. For one thing, it doesn’t provide the often-needed human connection necessary to experience support, affirmation and, positive reinforcement in addiction rehab. For another, it presumes that patients who have undergone significant changes in their brain chemistry and who are often governed by their withdrawal symptoms will fully engage with and effectively self-govern their recovery. Finally, it removes the ability to ask important questions in real time about everyday lifestyle issues that hinder recovery, as well as questions related to medication. Is Online Rehab Right for Me? 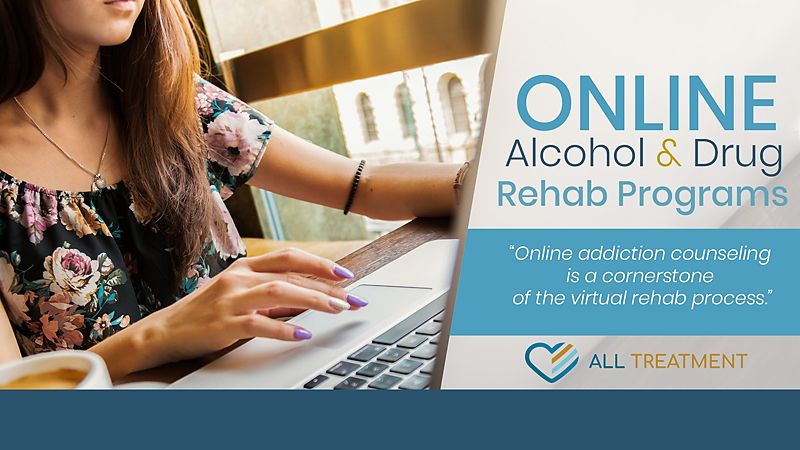 If you or your loved one is struggling with drug or alcohol addiction, try exploring online rehab as a part of your overall treatment program. As time goes on, you may be able to supplant certain elements of traditional treatment with online rehab. The most important thing is to get the help you need, however you can, to reclaim your life from the disease of addiction. Online alcohol and drug rehabs are helping more and more people break the cycle of substance use.